After a long, exhausting jog, nothing in the world sounded better than getting out to the waves and cooling off her throbbing paws. 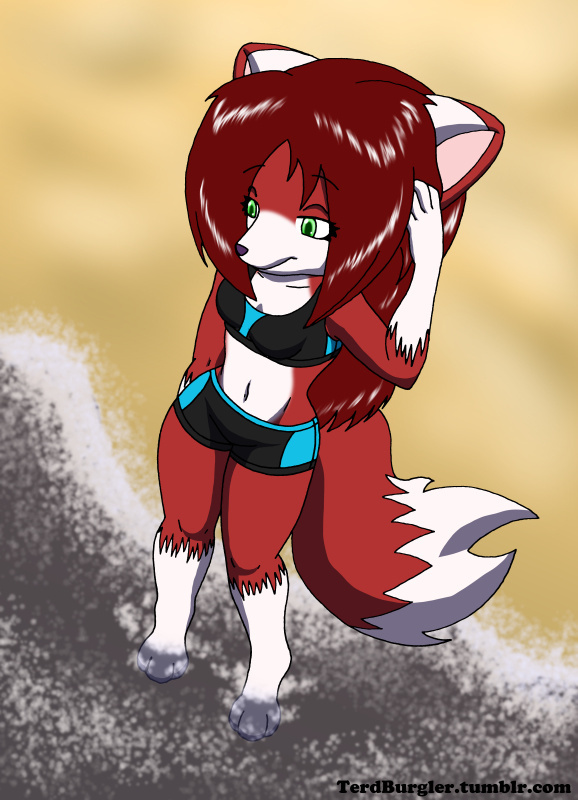 She walked down the small path to the beach and quickly crossed the hot sand. She could swear she heard the hiss of steam as she stepped into water and immediately felt a wash of relief. She wiggled her paws, feeling the sand between her toes and the cool water lapping at her ankles. Honestly, with the sea before her like this, it was too tempting to pass up. She just had to take a dip. But… she didn’t have a swim suit. I guess I forgot to post this one here. Seems a moot point to post the selection options since it's already been decided. Either way, enjoy the arts! Thanks! I really wanted to play with perspectives in this set and I'm glad I didn't butcher it.